Once your workspace has been created, you can adjust permissions, remove members from a workspace, or invite new users from the workspace landing page by clicking 'Invite People'. Owners can access and edit all workspace areas and workspace settings. Trusted Contributors can access and add to all areas of the workspace, and can create and edit views. Contributors can access and edit all areas of a workspace, but they cannot adjust any workspace settings or security. 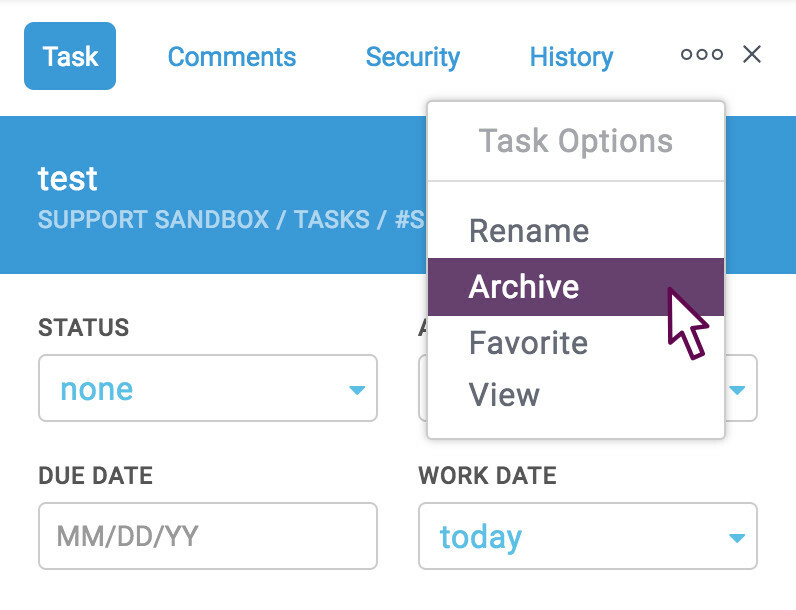 Commenters can view and comment on items within a workspace, such as tasks and files, and contribute to discussions, but they cannot add anything to the workspace themselves. Readers can view existing content in the workspace but not make any edits or comments. By default, modules inherit the permissions settings you applied to their parent workspace, but you can break the inheritance if you want to apply a custom set of permissions. Examples of why you may want to break this inheritance include setting up private discussion modules for different groups of users or hiding modules from users who need 'pass-through' permissions to access a child workspace but shouldn't see the parent workspace's content. You can break permissions inheritance from the module's settings area on the workspace settings page. After breaking permissions inheritance, you can invite additional users, or use the dropdown next to each member’s name to set new, module-specific permissions. To remove a user from the module entirely, click on the minus sign icon next to the user’s name. Just like modules normally inherit from workspaces, items inside a module will inherit their parent module's security settings by default. Breaking permissions inheritance for individual items is useful when you want to restrict who can read or edit a document, when you want to have a private discussion with a few teammates, or when a task contains sensitive information that shouldn't be accessible to all workspace members. Permissions for individual tasks, files, discussions, or other items can be edited from the 'Security' section of the item's detail pane. Permissions for individual tasks, files, discussions, or other items can be edited from the item's security tab, which is marked by a lock icon in the item's details. 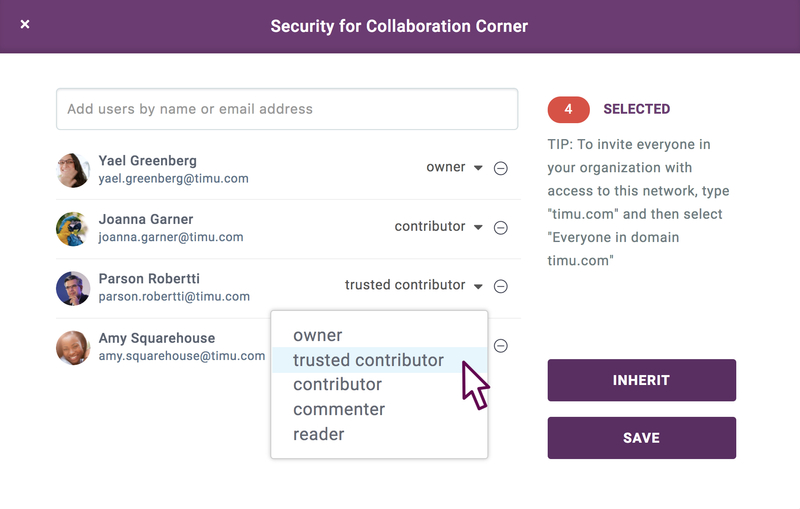 When you click 'Stop Inheriting', you have the option of preserving the current set of users and permissions as a starting point, or removing everyone but yourself so you can start setting new permissions from scratch.